Netflix has really upped its game in the horror department. 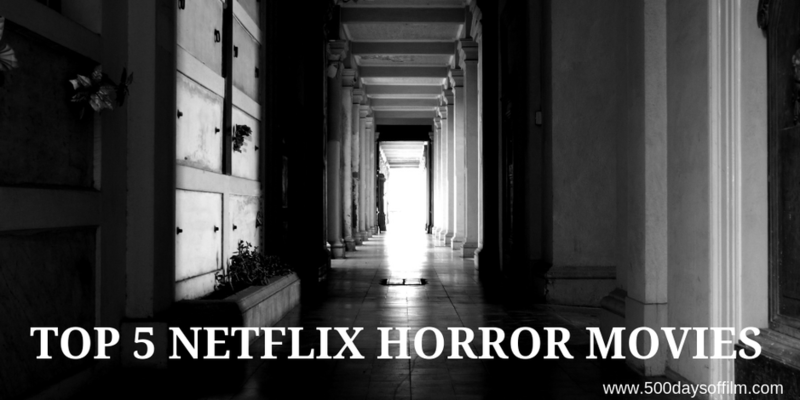 Once upon a time, the streaming service had a paltry selection of scary movies but now, well, they are really spoiling us with horror films and bingeworthy series (the wonderful The Haunting Of Hill House for example). When Dorsa’s behaviour becomes increasingly disturbed, Shideh's superstitious neighbour warns of the presence of Djinn (malevolent Middle-Eastern spirits). Struggling to distinguish what is real from what is not, Shideh becomes convinced that a supernatural force is attempting to possess her daughter. The synopsis of Mike Flanagan’s Hush seems, at first glance, to be rather generic. Author, Maddie (Kate Siegel), moves to a remote cabin in the woods (of course) to write her new book. All is going well until, one night, a masked psychopath appears at her window. However, do not write this little horror gem off so quickly. Hush is a tense, fresh and effective survival tale. Maddie’s certainly not going down without a fight. Oh and if you are hungry for more horror from director Mike Flannigan, try The Haunting Of Hill House or his adaptation of Stephen King’s Gerard’s Game (also on Netflix). Lena (Natalie Portman), a biologist and former soldier, joins a mission to uncover what happened to her husband (Oscar Isaac) inside Area X - a sinister and mysterious phenomenon that is expanding across the American coastline. Once inside, the expedition discovers a world of mutated landscapes and creatures, as dangerous as it is beautiful, that threatens both their lives and their sanity. There are two ways to view Alex Garland’s Annihilation. On the one hand, you could watch this film and see a visually stunning science fiction horror. You could enjoy Annihilation for its beautiful surface while appreciating the mysterious twists, turns and references to classic movies such as Aliens, The Thing, and The Abyss. On the other hand, you could see Annihilation as something more cerebral - an Adam and Eve tale and an exploration of identity, depression, self-destruction, disease and death. Garland (who also wrote the screenplay - adapted from Jeff VanderMeer’s best-selling story) certainly welcomes the ambiguity inherent in his film - allowing his audience to take away any number of (often deeply personal) interpretations. Of course, it is also possible to enjoy this film on both levels at once. I certainly did. I was utterly gripped by this cinematic story - fascinated by its themes and its science and drawn in by the nuanced and powerful performances of its impressive cast. Creep’s title really tells you all that you need to know. This film is full on creepy. It is deeply unsettling from the very start to the bitter end. First, let's get one thing out of the way. Yes, the film uses the now dreaded found footage device. However, in this instance, found footage actually makes sense. Creep contains a few pretty effective jump scares. However, the film is mostly concerned with creating a sensation of unease, tension and suspense - an aim it more than achieves. Following its 2018 Netflix release, Conjuring-style tale, Veronica, was quickly labeled as the scariest movie of the year. With Rec’s Paco Plaza at the helm, you certainly wouldn’t bet against this being the case. When Will (Logan Marshall-Green) agrees to attend a dinner party at the house he once called home, he finds himself overwhelmed by paranoia, believing that his ex-wife, Eden (Tammy Blanchard), and her new husband, David (Michiel Huisman), are hiding an insidious agenda. Karyn Kasuma's The Invitation puts you on edge before Will even arrives at Eden and David's creepy dinner party (in a scene reminiscent of Jordan Peele’s Get Out). However, it is when he enters the home that used to be his that things get really, really weird. What do you think of my selection of horror films on Netflix? What is your favourite?